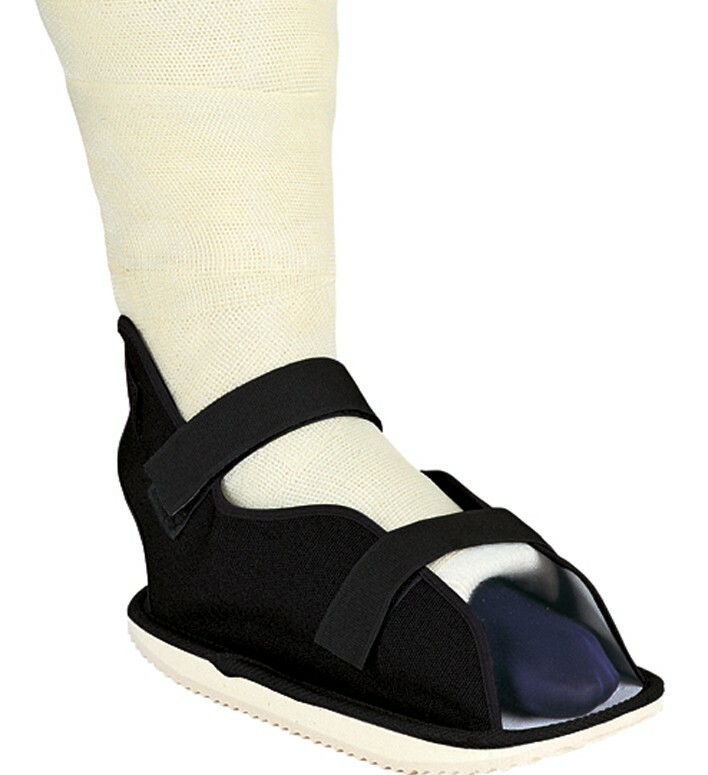 Non-slip rocker sole to allow for more natural gait during ambulation. Non-slip rocker sole to allow for more natural gait during ambulation. Sandal style with durable canvas upper. Forefoot and heel loop-lock contact closure for ease of application. For use with lower leg casted fractures. Latex free.